In this episode, I interview James Mowdy (@JamesJetsOften), a brand consultant and creative analytic who helps opera singers build their own brands in the 21st century. James not only helps professional creatives learn storytelling and social media skills to build awareness, but he runs Operatawk, a live-streaming Q&A show about opera on Periscope. If you'd like to learn more about how to build your brand as an artist, this episode's for you! "Networking" may feel like a dirty word to many creatives and artists, but it shouldn't. My thoughts on the "quantity versus quality" approach to social media, especially as it relates to making connections with other artists and creatives. In short, your network is not a bunch of baseball cards. If you're an artist or creative and saw The Last Jedi, your opinion of the movie says a lot about you. Season 2 is officially over, and Allen shares his thoughts on 2018 and what you can expect in Season 3. 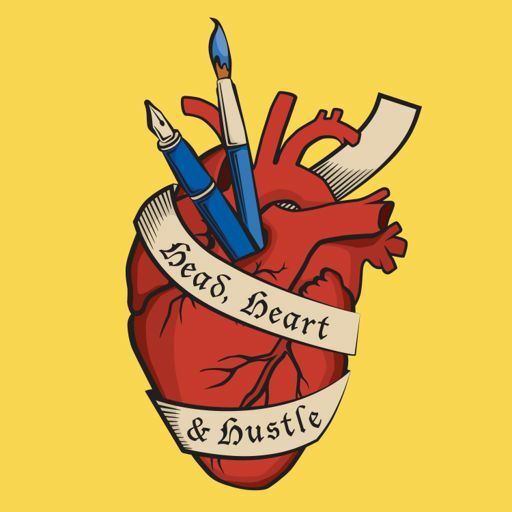 Visit us at HeadHeartandHustle.com and sign up for our newsletter. In this episode, I interview Melody Peng (@Mpeng11), an actress in Los Angeles who has appeared on a variety of network and cable shows. In this episode, I interview Ramon Deslauriers (ramon_d on Instagram), an artist who enjoys manipulating and taking photos for digital media. In this episode, I interview Daniel Cousins, a New York City-based producer, performer, and 21st Century songwriter who defines his sound as supernatural electro rock. New episodes of the podcast are coming September 5th! Here's a quick update on what we'll have for listeners this fall. In this episode, I interview Kristen Kurtis (@KristenKurtis), morning show host and DJ at WXPN, a prominent independent radio station in Philadelphia. In this episode, I interview Matt Boring (@TheBoringChef), a chef, professional gamer, and all-round Renaissance Man. In this episode, I interview Nicolette Orlemans (@Nicolette_O), a travel blogger and founder of Culture With Travel (@CultureWithTrav). Want to know what the podcast is about? Start here for a brief overview and introduction.